Spotlight distinctive detail is an enzyme super concentrated cleaner. 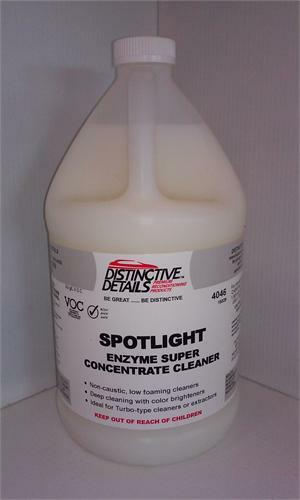 It's Non-caustic, low foaming cleaner for deep cleaning with color brighteners. Ideal for Turbo-type cleaners or extractors but can also be hand applicator mixed up to a 1 to 10 with water!! !